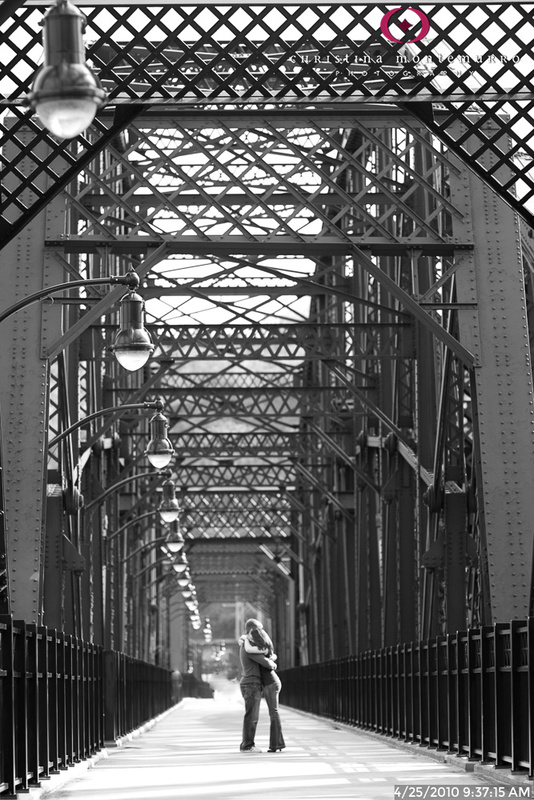 WHY IS THE HOT METAL BRIDGE A GOOD CHOICE FOR WEDDING PHOTOS OR AN ENGAGEMENT SESSION? Convenient to Circuit Center and South Side Works. This bridge has a wide pedestrian-only section, so you can walk here without any fear of getting hit by a car. Before you start getting too excited and running without looking where you’re going… you do have to watch out for cyclists. You’ll see lots of them here.